You just booked the perfect Royal Caribbean cruise for your family. Whether it is your first or fiftieth cruise, this results in such a great feeling of euphoria, excitement and anticipation. Now that you have your sailing booked, what should you do next? Arguably, planning your Royal Caribbean is almost as fun as the cruise itself and after you confirm your cruise booking with your travel agent (you used a travel agent, right? ), here are eight important things that you should take care of next. Part of the fun of taking a Royal Caribbean cruise is the, "humble brag." Great vacations are an important event in anyone's life, so wanting to tell your friends and family about your next adventure is a very common feeling. 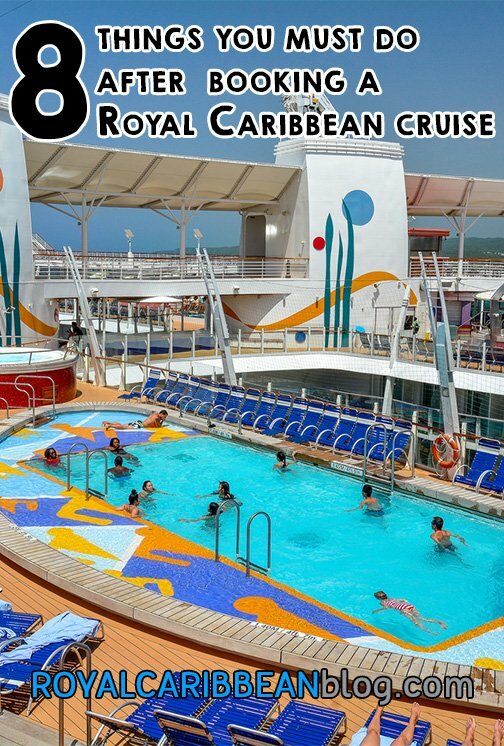 Booking a Royal Caribbean cruise is fun and all of a sudden, you have something new to look forward to. Therefore, it makes total sense to share the good news with everyone you are friends with on social media. Maybe you will post a photo you found of the ship, or tell the story of how you surprised your kids with the news. However you do it, sharing the excitement with everyone you know is a great way to start the countdown until you sail. Besides, your post might convince a friend or family member of yours to join you on that sailing! Most guests that book a Royal Caribbean cruise are not lucky enough to be within driving distance to the embarkation port, so looking at airfare is something you want to take care of sooner, rather than later. Airfare prices are anything but predictable, so you will want to start looking into flight options to ensure the best possible price. Just like cruise fares, the best prices for airfare seem to favor those that book well in advance. Be sure to also consider nearby airports that could save you a lot of money. As an example, if your cruise leaves from Port Everglades in Florida, nearby airports of Miami, Orlando, Tampa and West Palm Beach are close enough to be an easy car ride over, especially if that helps bring your total bill down. Royal Caribbean, your travel agent and a slew of companies offer trip insurance for your vacation and depending on your risk tolerance, it may be a good investment. Trip insurance can protect you against a multitude of emergencies, unforeseen events and accidents. It is one of those things that you are glad you have it, if you need it. It is important to not just look at price but consider what is actually covered by the plan. A common misconception surrounds hurricanes. Many people think trip insurance will cover them if there is a hurricane in the general vicinity of their cruise and they can cancel with a full refund. The reality is most plans only cover hurricanes if the cruise is canceled or otherwise directly impacted by the storm. A guest's desire to cancel because they fear a storm is not usually grounds for the insurance to kick in, so it is important to understand what the plan does and does not cover and what circumstances allow for the insurance to kick in. You should also check if any of your credit cards include trip insurance in your policy. Many credit cards include that provision, provided you used that credit card for payment. Once again, a good travel agent can be your guide in assisting you as to which options and plans are best for you. It never hurts to double check your passport to ensure it is still valid and will be current throughout your cruise. All too often, people assume it is still good and then realize very close to their sailing date that their passport expired or will expire. It only takes a few seconds, but dig out those passports and check each of their expiration dates to ensure you are all set. You should also be aware that the United States Department of State advises that U.S. citizens traveling on passports that expire in fewer than six months have increasingly been denied airline boarding or been detained upon arrival in certain foreign destinations, including popular European travel destinations in the Schengen area. This is not a new requirement, but it is only recently that the requirement has been more strictly enforced. And if you are wondering, "do I need a passport?" the answer in our opinion is a resounding yes. The benefits of traveling with a passport far outweigh any of the costs associated with getting one. It is a solid investment for any traveler. It is probably a good idea to speak with your manager about getting the necessary vacation time from work for the cruise you just booked, especially if you value your employment. Whether you are a manager or regular employee, get your time off on that vacation calendar as soon as possible so it can be approved. In some companies, there are policies that prohibit too many employees from taking time off at the same time, so be sure you do not run into an issue with your Human Resources department. With your cruise booked, you are probably curious about excursions, dining options, drink packages and more, so be sure to link your cruise to your Royal Caribbean account. If you have not done so already, create a My Cruises account on Royal Caribbean's web site. It's free and should take just a few minutes to complete. Log into your account and then add an existing reservation to your My Cruises account. Now, you will have access to every detail of your sailing, including shore excursions, beverage packages, entertainment, dining reservations and more. After you complete the last step and register your cruise with your Royal Caribbean account, you can begin looking at what exciting shore excursions are available. You definitely do not have to book anything right after booking your cruise, but it never hurts to get an idea of what to expect. Plus, there might be something you were not aware was offered. In our experience, excursion research and planning is a multi-step approach, and the more time you spend considering options and learning about what each port offers, the better informed you will be. Royal Caribbean's excursions are not the only option to consider, but it is always a good starting point. Dinner on a Royal Caribbean cruise has a few options to choose from, and you will want to make sure you pick the option you want. Depending on your ship, there can be a few choices: traditional, My Time Dining or Dynamic Dining. 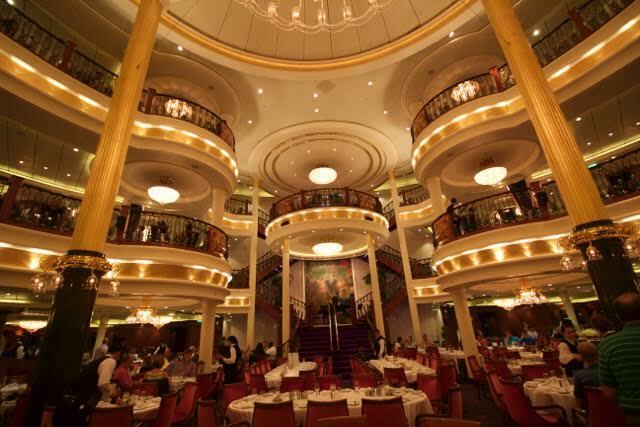 Traditional dining is where you have a set time each night of your cruise, where you will be seated at the same table in the main dining room and have the same wait staff and table mates. This is the most common choice available and is also the most widely available option. There are two times, early and late seating. My Time Dining takes place in the Main Dining Room as well, but instead of a fixed time and table, you reserve times during the evening or show up and get the first available table. My Time Dining allows for more flexibility in when you eat, but requires more planning to ensure you have a spot each night to dine at. Dynamic Dining is the newest choice, and is available on Quantum class ships currently. There is no Main Dining Room, but instead you have a choice among complimentary and specialty restaurants to book reservations at. You can pick the same restaurant or as many as you want, with different waiters and times each evening. To enroll in any of these options for your cruise, contact your travel agent or Royal Caribbean directly and request the one you want. There can be times where the choice you want is full, but you can request to be put on a wait list and in our experience, wait list requests usually are fulfilled. What things do you do right after booking a Royal Caribbean cruise? Are there some pitfalls you would recommend others avoid? Share the important tasks that you think everyone should do in our comments below!